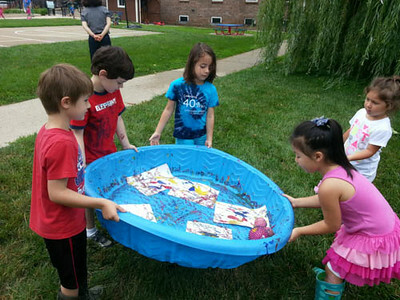 MSGL Summer Camp is open to Preschoolers through 1st Graders who are currently enrolled or recent alumni and while it is a really great time for all of those kids who have been here before, it is especially helpful for children new to MSGL and for the toddlers who are graduating to preschool. 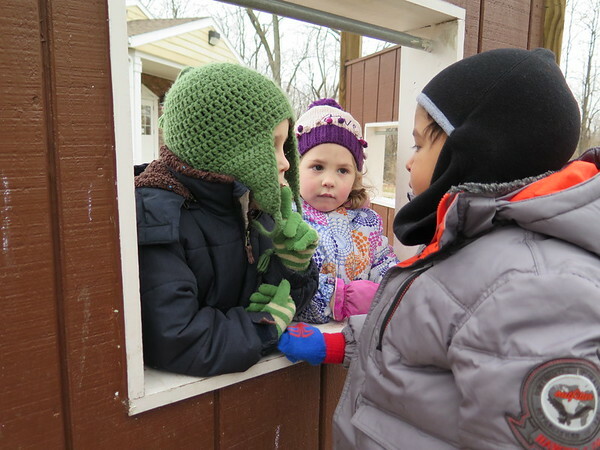 For these children, Summer Camp is the perfect way to ease into the routines of preschool and to set the stage for a successful start in August. 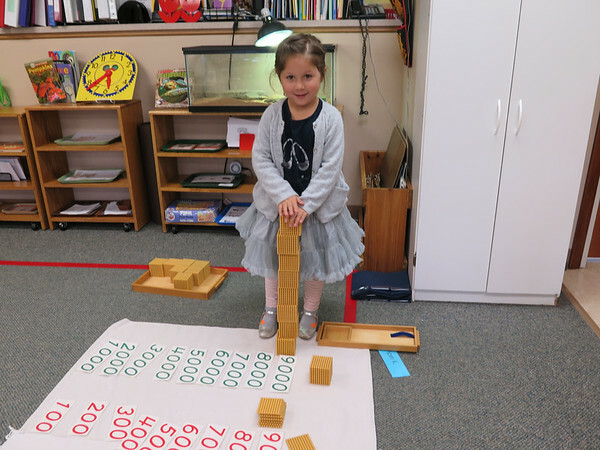 The absolute best part of being a Montessori directress - or ANY teacher, anywhere, I imagine - is watching the children develop and grow. We spend time with your children each day, observing and guiding them, and we get to see them just as they are in that moment. And what they are, as Grace Harvey says, is "totes amazeballs" (totally amazing). They grow in strength, wisdom, and courage right before our very eyes. Today I will just speak to their courage because courage is the thing that gets your child through his or her day without you. In more stuffy circles it might be called confidence, but when you are only 28 inches tall and mom or dad just drove out of the parking lot, you’ve got to be brave to pull yourself together, to turn to face that great big green space filled with people you don't know and sally forth through the rest of your morning. Maya Angelou said, "Courage is the most important of all the virtues because without courage, you can't practice any other virtue consistently. You can practice any virtue erratically, but nothing consistenly without courage." During last week's Summer Camp, there were many examples of children developing their courage and I will share a few. 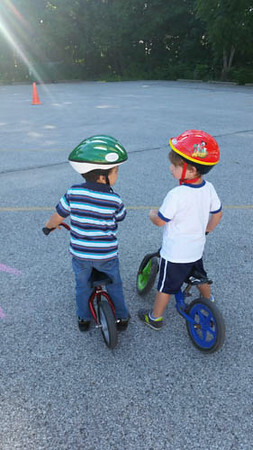 During Friday's Bike Day, a 4-year-old friend who enthusiastically embraces everything at school stopped his bike right at my toes, looked out at the cars going by on Sagamore Parkway, and said, “I miss my dad and my mom. And my little brother. And our dog. And they are missing me, too.” I listened and commiserated and soon he took off speeding around the course. His courage waned for only a moment then he got back on his bike. The exploding paint activity required all different types of bravery, especially from the teachers. 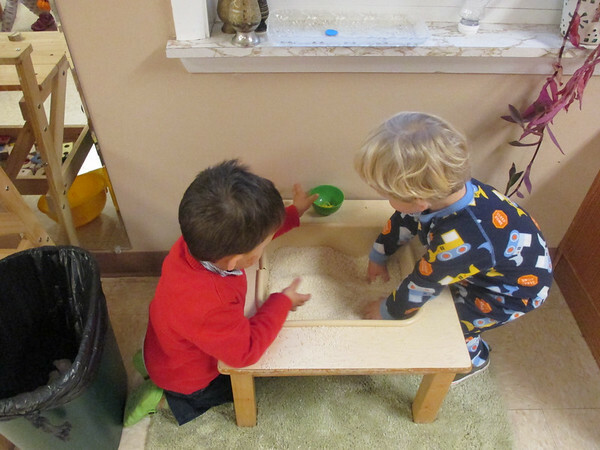 For this activity, the children put a scoop of baking soda and some colored vinegar in a plastic baggie, sealed it and shook it up before throwing it on the ground to watch it explode. If there was no explosion the child could take a pin-puncher and pop the bag. Loud noises, spraying liquids - it's not an experiment for the timid. 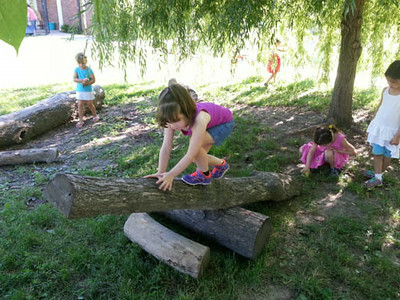 Courage hung thick in the air under the willow tree on Friday as children experimented with the log seesaw. Little ones who started out holding our hands as they walked the length of the log until it dropped to the ground were able to do it by themselves after seven or eight attempts. One group of brave 5 and 6-year-old girls inspired their younger sisters and friends to walk the seesaw and soon there there were eight girls waiting in line for a turn. These are some of the same girls who regularly show others how to draw pictures of princesses and fairies in the classroom. For me, this experience was a reminder that when we worry that a child is "only drawing" or "only playing" it's time to take a break and get a cup of coffee while the children follow their interests. MSGL provides such an environment in our classrooms and on our beautiful campus that has been created by you and other parents like you. 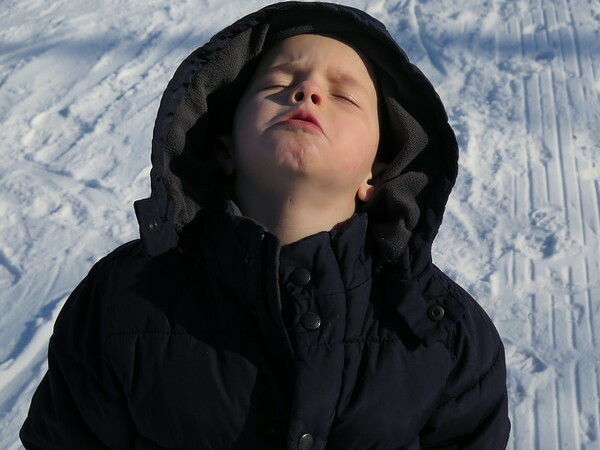 When you bring your child to Summer Camp next week or to Preschool this fall, you are allowing her to bravely conduct her own experiences apart from you. And that requires real courage from both of you.